There are two areas which represent the two Drawers, one located at the left side of the TVPaint Animation window, and the other at the right side. The two Drawers are enabled by default. 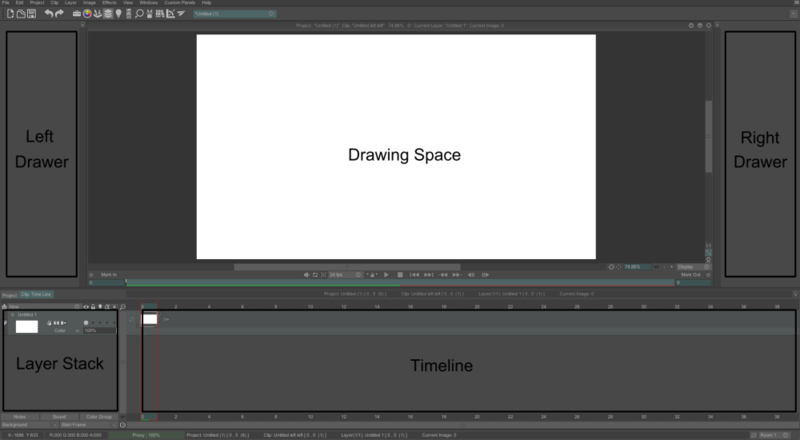 Almost all the panels in TVPaint Animation will be able to be stored in one of the two Drawerss.